Dersen wrote: With this graphics, Valtteri's GFX Pack is nothing! The best graphics IN THE WORLD! No, The Utility CGFX Pack is nothing compared to this... Prodigiousness. Amateur Lands has the best graphics. Electriking wrote: Amateur Lands has the best graphics. Last edited by AeroMatter on Sun Aug 12, 2018 8:21 am, edited 1 time in total. 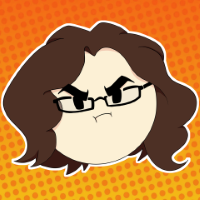 wait because you made a less good one before that?! The graphics forum ought to be closed now, because nobody will ever be able to top the sheer beauty and artful mastery of this graphics pack. It's just plain amazing. You must be joking right? 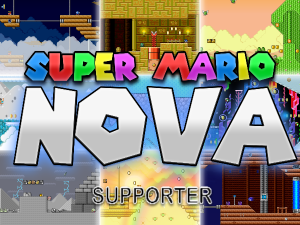 Because those GFX look like they were made with MS Paint in a "Rushed" method. GforGoomba wrote: This is a joke, right? MarioRPGExpert93 wrote: You must be joking right? Because those GFX look like they were made with MS Paint in a "Rushed" method. No of course not. How could I joke when discussing the trash beautiful articulation and theming of this graphical work? These graphics are pure garbage. How it can improve? ACTUALLY PUTTING IN EFFORT! This was obviously rushed. Thank you G! 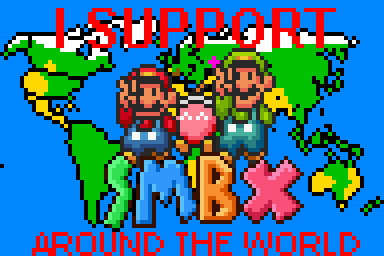 Even I would put more time & effort on my 16-bit Graphics before publishing them to the SMBX community! Literally everything nothing could be improved in this pack. These graphics are such masterpieces. I need to use them so bad!! !